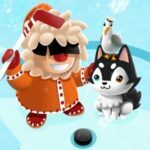 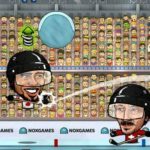 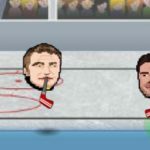 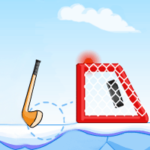 Want to play a fun hockey shootout game? 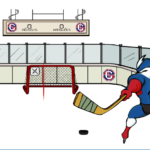 We got one right here here your goal is to make precise shoot outs by shooting pucks into the net. 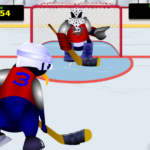 But the goaltender will try to stop you from scoring. 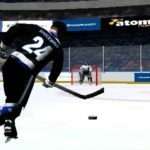 First select your favorite team to play with. 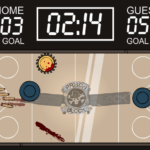 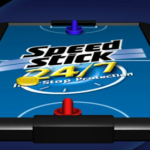 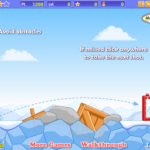 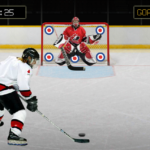 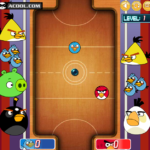 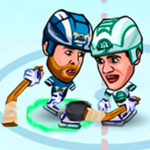 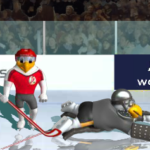 To shoot the puck you need to click and hold your left mouse button to set the direction and speed of the shot. 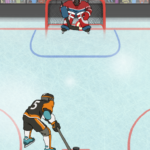 If you want to shoot straight, hit the puck when it's exactly over the X on the ice. 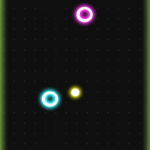 If you want to aim left or right, just hit bit when it's to either side of the X. 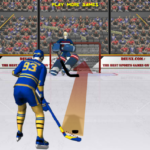 Lift of your shot is determined by how far below the X your mouse is when you hit the puck.